Grease the springform pan with oil.  Roll the pizza crust dough, on a flour dusted working surface, to a circle and line the bottom and half of the sides with the dough. Stir-fry the ground beef to crumbs, add the ring sliced onion, the thinly sliced bell pepper and the sliced mushrooms. Fry until the fluid has evaporated. Let the mixture cool. Mix the ground beef mixture with the cubed mozzarella and tomato. Cover the bottom of the pie with half of the tomato sauce and spoon the ground beef mixture in the form. Spoon the rest of the sauce over and garnish with grated cheese and chopped olives. Bake the pizza pie on the bottom rack of the oven about 20-25 minutes. Let rest outside the oven for 5 minutes before serving.